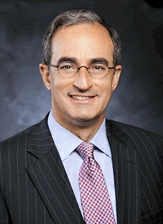 Jon Weiss leads Wealth and Investment Management (WIM) at Wells Fargo and serves on the company’s Operating Committee. Nearly 33,000 team members in WIM provide a full range of personalized wealth management, investment, and retirement products and services to clients across U.S.-based businesses through WIM’s sub-brands, including Abbot Downing, Wells Fargo Advisors, Wells Fargo Asset Management, Wells Fargo Institutional Retirement & Trust, Wells Fargo Investment Institute, and Wells Fargo Private Bank. WIM delivers financial planning, private banking, credit, investment management, and fiduciary services to high-net-worth and ultra-high-net-worth individuals and families. It also serves clients’ brokerage needs, supplies retirement and trust services to institutional clients, and provides investment management capabilities to global institutional clients through separate accounts and Wells Fargo Funds. Jon started his career with Wells Fargo in 2005. Beginning in 2014, he served as president and head of Wells Fargo Securities (WFS). From 2008 to 2014, he was co-head of the Wells Fargo Securities Investment Banking & Capital Markets division. Before joining Wells Fargo, Jon spent 25 years at J.P. Morgan (and its predecessors) in various roles — including head of JPM’s global financial sponsor business and head of investment banking in Asia Pacific for Chase, where he was based in Hong Kong. Jon’s early career at Chemical Bank included roles in the retail industries and loan syndications and acquisition finance groups, and he was assistant representative in Chemical Bank’s Mexico City office. Jon earned his B.A. in Romance Languages from Princeton University. He serves on the national advisory board of Youth, I.N.C., a nonprofit based in New York City, and on the boards of One Goal‒New York and the Lawrenceville School in Lawrenceville, New Jersey. He also serves as a trustee of the National Humanities Center in Durham, North Carolina. He is based in New York City.